This Fund has been started in memory of Dr. Jeff's mentor, Dr. Ambrose. Jeff worked for Dr. Ambrose at Carmel Animal Hospital in Phoenix while in high school, and then as a new graduate after veterinary school. When Dr. Ambrose retired in 1999, Jeff bought Dr. A's clinic. Drs. Jeff and Susie had a wonderful practice there until its closing at the end of 2008. In May of 2013 Dr. Ambrose passed away due to complications of Parkinson's disease. Drs. Jeff and Susie wanted to honor Dr. Ambrose and his committment to the human animal bond, and set up this fund. 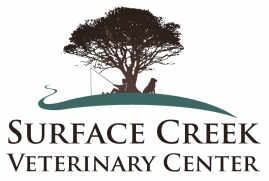 It is designed to provide financial help for pet owners with emergency situations or with pets requiring medication for chronic conditions that are a financial burden. Donations to the fund are encouraged and welcomed. When money from the fund is used, our hospital will provide a matching donation of services. You can be assured that any money donated to the Willard J. Ambrose Memorial Fund will be used to benefit the health of animals in our community. We would like to thank all of our donors to this fund, we couldn't do this without you! And a special thanks to Judy Kneebone, who provides the cute stuffed critters you get to take home with a donation of $10 or more. 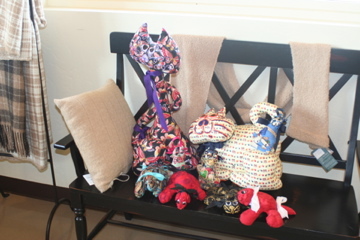 Cute stuffed cats and dogs to our donors!